Greetings from Las Vegas! I am dictating this month’s President’s Address while waiting to speak at a Traumatic Brain Injury conference taking place at the Convention Center at the Aria Casino & Resort. Just across town, at yet another hotel convention center, is the Mass Torts Made Perfect seminar at which there is yet another large gathering of lawyers. ‘‘Tis the season”, as they say, and I guess this holds true for Medical Legal Seminars as well. While there are certainly many seminars held each year, undoubtedly one of the best is the yearly conference hosted by the ABPLA. I sincerely hope that each and every one of you has signed up and plans to attend our National Legal & Medical Malpractice Conference. This year’s conference will be nothing short of phenomenal. It is a unique 3-day CLE for both plaintiff and defense attorneys who have an interest in professional liability. The conference is just around the corner, May 2 - 4th at the Park Lane Hotel in New York City. This conference provides you the opportunity to learn not only from the best in the areas of Medical Malpractice and Legal Malpractice litigation, but also with the best in those fields. The conference is attended by Board Certified Specialists of the ABPLA and is also open to the public. This is your chance to learn from those who practice in this field almost exclusively and have the certification and results to prove it. Those who are leading the charge in our field, and who have blazed paths, are not just presenters, but attendees. This year’s speakers will highlight the changes happening in our profession and inspire you to improve your professional skills and legal expertise. Significant interaction and discussion make the conference invaluable. It is not often that people from both sides of the bar have a chance to share openly. If you practice in the area of professional liability, this will not be an event you will want to miss, and that this conference is happening in New York in the Spring, it will be the best event you attended all year. So, if you have not already signed up, do so now. I look forward to meeting with you personally in New York. The room block is close to capacity. If you need assistance in securing a room at the group rate please call Reeve at 404.919.4009. This past month I enjoyed the opportunity to speak with three legal giants, two past presidents of the America Board of Professional Liability Attorneys (ABPLA), and the immediate past president of the National Board of Trial Advocates (NBTA). It is therefore only appropriate that I share the unique insights I gained from Thomas William Malone, William F. McMurry, and Jack McGehee. For the hour or so that I spent breathing the rarefied air that surrounds these gentlemen, I became inspired and motivated. I hope sharing their words does the same for you! This month, I begin with Tommy Malone. Thomas William Malone, (Tommy), is the founder of Malone Law located in Atlanta, Georgia. For more than 40 years he has litigated cases involving catastrophic personal injury and wrongful death. He is board certified in medical malpractice. Tommy served as ABPLA president from 2006 - 2010. Q: I know you were board certified in the area of medical negligence by ABPLA in the 1990s. What drew you to board certification? A: Larry Smith drew me to board certification. He thought it would be good for me, and good for the group, and so I joined, and it's an interesting story. As I recall, I was on the board since becoming certified and I said at one of the last board meetings in 2005 that I wasn't coming back to any more meetings because we didn't do anything to get the word out. You know, I had envisioned public service announcements, ads in magazines, stuff like that, to let the general public know the benefit of board certification. And I still think that would be a good idea to promote the concept of board certification throughout the public. And then the public - imagine a doctor needing a defense lawyer being offered 10 different lawyers - two who were board certified and the others not. Who is s/he going pick? So, at any rate, I told them I wasn't coming back, but I got a call from one of the board members asking if I would agree to serve as ABPLA president. The board agreed more needed to be done, and the organization faced some challenges at the time, so I agreed. Q: Let me ask you about the qualifications currently required to receive board status. In this day and age, and I guess court dockets pan this out, there are fewer and fewer trials taking place. Consequently, younger lawyers have less trial experience. Do you believe the trial requirement should be eased, or that the qualifications generally should be eased for new applicants? A: Well I think you could have two classes of membership. One group could be a member of the organization, but not board certified, until they met the requirements. But I do think our requirements are rather minimal. You know, you can't certify somebody that couldn't meet with the client in their office, sign the case up, investigate it, file the suit, obtain appropriate affidavits, proper workup, and try the case. You can't have them learning how to do it after they are board certified. Q: What do you think certification organizations such as ABPLA, NBTA, and others should do to promote awareness of the benefits of board certification? A: A massive media campaign. I've always thought that should take place. The organizations have to organize the message and promote it, but individuals that are board certified have to spread the message as well. Q: Tell me what your thoughts are with respect to medical malpractice in general. Throughout your career you have flourished handling medical malpractice cases. Yet these cases seem far more difficult than a more basic personal injury action. What are your thoughts? A: Oh I think it is one of the most challenging areas of the law. Certainly more difficult; all of the nuances, statutory regulations requiring affidavits from a doctor who is of the same specialty and has the experience in the field that is under consideration. And then the question of causation is much, much more difficult than in other cases such as a wreck case, where causation can be obvious. Q: What is an important message to deliver to prospective applicants regarding the board certification process? A: One thing that is not done adequately, I don't think, and it causes lawyers at the top of their field to not want to be board certified is because they have to pass an exam. And, everybody that is doing well in the field, without being board certified, don't want to run the risk of taking the exam and failing. But I was able to tell everybody that they would pass the exam, I was confident that they would, because I knew that they had tried cases, and were proficient in the field. It's not like the examination tests how smart you are, but instead it tests your proficiency and knowledge in the general area. Q: Many of us have followed your battle with cancer. How are you doing today? A: Well, I am married to Florence Nightingale. I was told when I was diagnosed with stomach cancer in February of 2016, that if the chemo worked as well as could be hoped for, I had 9 or 10 months. That meant I would be lucky to make it Christmas, 2016. And, here I am, and there was no radiation, no surgical options, and I've gained 29 pounds through the shakes that Debbie (Florence Nightingale) makes me drink. And I'm hanging in there to everybody's surprise, including mine, and the worst part of it is chronic fatigue. It took me a year to learn how to answer the question. People would say "how are you doing", and I've got the answer for that now. I say "all things considered I’m doing fantastic!" So, Tommy spoke, and we listened. I want you to know that just this past week, ABPLA Standards Committee met, under the leadership of Tom Sartwelle. The purpose of our Standards Committee is to constantly review the qualifications required by ABPLA for an applicant to become board certified. The Standards Committee will report to the Board at our next board meeting in New York this May. Additionally, our executive director, Reeve McNamara is currently working on several fronts, both for our plaintiff and defense lawyers in order to develop material as well as relationships beneficial to our board certified brethren. For example, we expect to shortly be able to hand an entire packet of materials, including a video which may be placed on member’s websites, discussing the benefits of board certification. It is but one step in getting the message out. Additionally, with the assistance of several of our board certified defense lawyers, we will be meeting with medical malpractice insurance carriers in order to discuss the advantages of retaining board certified attorneys. As I recently mentioned, Reeve and I will be attending the ABA Roundtable meetings. The ABA has indicated some desire to help educate the general public as to the benefits of board certification. Exactly what they have in mind, we do not know, but following the Roundtable, I will be sure to report. Later this month I will present my discussions with Jack McGehee and William McMurry. My hope is to allow their words to motivate you. Get involved! Meet us in New York in May for our conference. Take a moment now and go online and sign up. Send an e-mail out with your thoughts and ideas about how to make your organization better. See you all in New York! This past month I enjoyed the opportunity to speak with three legal giants, two past presidents of the American Board of Professional Liability Attorneys (ABPLA), and the immediate past president of the National Board of Trial Advocates (NBTA). In this, Part 3 of my March address, I share the unique insights I gained from speaking with Jack McGehee, the immediate past president of the National Board of Trial Advocates (NBTA). Jack is board certified in medical malpractice by ABPLA and sits on our board as well. 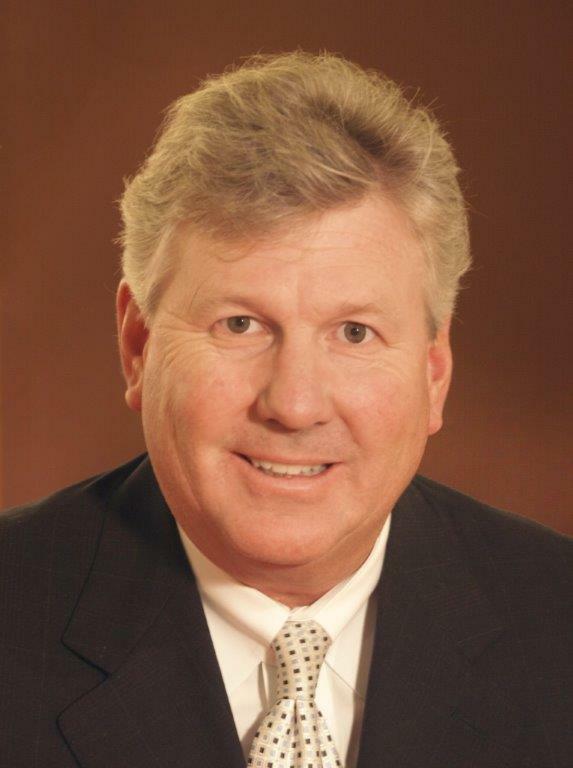 Jack McGehee, is the senior partner at McGehee, Chang, Landgraf, located in Houston, Texas. Jack has more than 38 years of trial experience and has brought over 306 cases to verdict. He is board certified in medical malpractice and has served on the ABPLA board since the early 1990s. Jack is the immediate past president of the NBTA. Q: Jack, please give us your insights as to board certification. Why do you think it's important, and where is it heading? A: Five years ago I got a call from David Rapoport who asked me if I would consider becoming president of the NBTA. My first response was to push back. But then I thought about it. And then Randy, I went from being neutral to being very desirous of the opportunity... very, very, humbled… and very aggressive at what I thought I could do. I took it on as a personal cause and I really believed in it through and through. And I'm so frustrated at the profiteers around the country making money off of referrals . . . referring our clients to would be "competent" counsel who they claim are Super or Best. Unlike us, those groups don't have the urgency, the mission, to do it correctly and I think board certification, which I trademarked ("Board Certified-Proven, Tested Excellence” and is available for ABPLA members to use), should be the only criteria that clients use, or the biggest criteria. We should mimic the medical profession where the first thing every patient asks her doctor is: “Are you board certified?" And, over the years that has become the driving force. Today 85% of the physicians are board certified and only 3% of the lawyers are board certified. And we need to change that paradigm and not give up ground to the profiteers who are only going to do things that make money. So, I accepted and I wrote a five-year plan for the NBTA and it basically was, we are going to stop just certifying 5 specialty areas. We are going to go out and certify every legitimate specialty area that we can. I identified 22 areas, which was an arduous and painful process, and then started putting boards together, finding founding Presidents who could share the cause within that specialty. That was very difficult. Q: How do we reach the public, because they do not know the value of board certification? We had a very disgusting experience in Houston following hurricane Harvey where there were quite a few lawyers out beating on the doors. Not necessarily qualified lawyers. Signing people up at 45% and taking a lien on their house to secure payment of their fee. So the federal court had to decide which lawyer should be in charge. The Judge required Statements of Interest from everyone who wanted to lead the plaintiff’s side of the case. What followed was a feeding frenzy. There were 210 statements of interest submitted. And many of them were the guys who had never tried a case. Sadly the federal court had no guidance to determine which of these folks were for real and which were not. Imagine if you could become board certified in these kinds of cases. So now fast forward to six months ago. One of the most distinguished federal judges who does MDL and who does class-action and who does mass torts agreed to be the founding president of the National Board of Complex Litigation Attorneys. And for the first time the NBTA will offer board certification for lawyers working in Complex cases. So, the next time there's a “beauty contest” for leadership, board certified lawyers should be the most "beautiful" [laughs]. And if that's the case, every lawyer should want to be board certified so that they can take part in leadership of class actions and other complex litigation. We satisfied a need. We are doing that with patent and trademark, appellate law, immigration law, health law and other specialty areas. So your question is how do we get the word out? I think we get the word out with the lawyers first, and then the lawyers are going to be talking about the benefits so much that I think it will take hold eventually. And while I don't have a formula to get there, I'm not going to just sit around and do nothing while the profiteers dominate. Q: Less cases are getting tried, it's evident from court dockets, and it's getting exponentially more expensive to try cases, so how do you maintain the degree of excellence in a shrinking trial environment? A: I’ve always been a proponent for the ABPLA to represent the best 100 or 200 people in the country. The best of the best. I never thought the ABPLA market should be 5000 board certified lawyers. So, I think, the cream of the crop, the truly most qualified in our industry is you and the guys that did the hard things to become specialists. ABPLA certification shows the public that we've been there and tried cases... I'll tell you what, if you show me someone that has tried an injunction or handled a bunch of hearings and put them up against you or an ABPLA board certified trial lawyer in medical malpractice, it's a no-brainer who will succeed. So I've never been in favor of relaxing the number of trials that are required. I don't think we should ever give that up. Q: So in terms of the NBTA, at present, how many specialties are currently offered? A: Now it’s about 10+6. We have 6 specialty areas that are approved by the ABA, and 10 that are on the assembly line. And, as I said at the outset, I envision 22 total specialty areas. Q: Is the NBTA going to take the laboring oar in promoting each of the 22 specialty areas? A: Yes. We have produced three really good videos that are on the (NBTA) website. They can be downloaded by our members. One is a client coming into a lawyer's office talking about board certification and, they are all really good and effective clips. In other words, once you get board certified, we'd like to give marketing ideas and marketing products to everybody who gets board certified so they can benefit from their certification. As you are all aware, the NBTA requested that ABPLA put on one of the programs in New Orleans at the first ever NBTA All Star Conferences earlier this year. The ABPLA nailed it. The entire program was very, very well received. The NBTA does not offer board certification in the areas of medical malpractice or legal malpractice. Only ABPLA offers such certification, nationwide. As always, if you have not signed up for our conference this May in New York, immediately stop what you are doing, go to ABPLA.org, and sign up now. Reeve and I leave Sunday for the ABA Roundtable. I will let you know in April how the meetings progressed! In this, Part 2 of my March address, I share the unique insights I gained from speaking with William F. McMurry, a past president of the ABPLA. William F. McMurry, is the founder of William F. McMurry & Associates located in Louisville, Kentucky. This year marks Bill’s 40th year of trial practice helping people across Kentucky recover compensation as a result of medical and legal malpractice, catastrophic personal injury and wrongful death. He is board certified in both medical and legal malpractice. Bill served as ABPLA president from 2010 – 2014. Q: Tell us your thoughts about board certification in general, and your service and commitment to ABPLA in particular. A: How I feel today? I have a real sense of dread and concern over the future of all board certification groups. So much has changed in the years I have been with the ABPLA as not long after the ABA took up accreditation, they will likely depart in 2023. This should serve as a wake-up call to all certifying organizations to come together and unite under one accrediting authority. I am prideful that during my service as President of the ABPLA we achieved accreditation by The Florida Bar, so that lawyers in Florida could, for the first time, hold themselves out as board certified “specialists” in medical malpractice and/or legal malpractice. During the same timeframe the ABPLA had to undergo re-accreditation by the ABA, which was a massive undertaking. We achieved re-accreditation for the first time during my service and I am so grateful to Tom Sartwelle for his unflinching push to make it a reality for all of us. As time has gone by, I have also watched with interest the emergence of ideas about having an umbrella organization that could take up the role of marketing to increase awareness of board certification. Marketing is something the ABPLA and other organizations could not likely afford, but it is essential for educating consumers of legal services about the importance of board certification. An umbrella that would educate consumers of legal services that board certification results in the consumer getting the best lawyer in a particular area of law. However, it appears we have now come full circle with the ABA giving us some indication that they could back out. As such, I think now more than ever, we need leadership in some organization to take up the responsibility of giving credibility to organizations like ABPLA. Originally, Kentucky allowed me to state my specialties as a result of Peel v. Illinois State Bar. The Peel decision was cited in the early version of the KY Code of Professional Responsibility saying in effect that you cannot say you are a specialist unless you are board certified by an organization “like” that referred to in Peel. And so, if the ABA steps out of the business of accrediting specialization boards, I believe Kentucky will begin to look with interest at all the new “pop-up” organizations we see on the horizon, and I fear they will use the ABA’s departure as a reason to cease sanctioning the use of the word “specialist.” Now more than ever we should we give serious thought to an umbrella organization rising to the occasion before the ABA steps out of the credentialing business. Q: What are your thoughts regarding the board certification in professional liability cases offered by ABPLA? A: I think ABPLA is the best of the board certifying organizations. We offer a degree of specialization required to assure consumers that our attorneys will perform with excellence in the most challenging of all legal specialties. Medical and Legal Malpractice cases are the toughest cases there are, and unless you've got a superior group that has the deep history of excellence and has the framework to put applicants through the rigors, the consumer suffers. But, you know it's obvious that our organization is handling a specialty that is not easily undertaken by states. That's why we don't see medical malpractice board certification from many states. Some states offer legal malpractice board certification, but I don't even think they require a single jury trial, all you must do is take some depositions. At least this was the situation in California when I reviewed its regulations a few years ago. Q: Let's talk for a moment about the qualifications for board certification by ABPLA. Given that it is becoming increasingly more difficult for younger lawyers to gain trial experience, do you think standards should be lowered in terms of trials required, or do you think that would have an adverse effect on board certification? A: Well, you know Randy, we probably have no choice but to match our requirements with the training reality of the applicants who might want to become board certified, and who have the talent and the skill to carry on and do a good job in professional liability cases. We know that trial experience is number one. The very foundation of a specialist is to first be a trial lawyer, which the NBTA has adequately captured in its “performances” requirement. We will always require the applicant to be a civil trial specialist before a medical or legal malpractice professional. But, I do think we have to be realistic about the extent of training which is realistic and how this degree of experience relates to a specialized level of skill and ability. And there are other ways - I remember attending one of those demonstrative trials that ABOTA put on in Nashville one year - and I was very impressed, and believe that young lawyers watching could learn a lot by attending and the ABPLA should give credit for such attendance. There are also programs put on by various colleges requiring active participation and I think young lawyers should get credit with the ABPLA for attending those programs. I think bench trials, as long as they are adequately complex, and perhaps other proceedings such as injunctions - you know I had an injunction hearing that went on for three months last year - could be considered for credit, but we have to have some kind of limitation on such events and how they would qualify. Q: Do you believe that as we move forward, fewer and fewer cases are going to be tried such that in a generation or so there just aren't going to be many trials? A: From and including 1998 through 2014, seventeen (17) legal malpractice cases were tried to verdict in Kentucky. Since 2014, no (zip, nada, none) legal malpractice cases have been tried to verdict in Kentucky. If this is the reality, we need to understand this reality, understand where the talent can be identified, and match our requirements to the abilities of that group. Otherwise, we are all going to be dinosaurs and dead and there won't be anybody left. However, today, I think that we do have to give some thought about giving credit for serving second chair. Maybe more than we have in the past. And the reason I say this is because you've got folks out there that want to get board certified, that see the value of board certification, and if they can get a leg up through second chairing, there are a lot of lawyers that would allow [an applicant] to come in at the last moment and second chair in an effort to allow them to learn. They wouldn't have to be part of the firm to get second chair experience. I would be willing to allow somebody who wanted to get trial experience to second chair - I don't want to take them into my firm as an associate necessarily - but I see that opportunity as being extremely valuable. Somebody second chairing is getting a rich, quality experience, I think, because there's so much more at stake when a case gets tried today. So giving second chairs this opportunity is something that ought to be encouraged among our membership. You know, we are seeing a large number of car wreck cases being tried in Kentucky, and it's giving those lawyers good experience. But, are those lawyers gravitating to the field of medical malpractice? The answer is “no”. But, if those lawyers were to step out of the car wreck firms and make a lateral move to a professional liability firm, they would be well-suited to taking a case on their own after sitting through a few second chair experiences. These car wreck lawyers are getting a lot of trial experience, but they're not working in firms that do med mal or legal malpractice work. Q: Don't you believe that there is a lot more involved in handling a professional negligence case than that of a car wreck case? A: Sure, you might not even be required to retain experts in a car wreck case. You might put a doctor on, but that's about it. I am not downplaying the seriousness of the injuries that may be involved, but it's not as challenging as understanding neurosurgery or anesthesia, and the stuff we get confronted with literally daily. With this said, there are car wreck trials which do involve the use of engineering experts, vocational economists, neuropsychologists and often neurologists in traumatic brain injury cases. These trials require a high level of skill and the attorneys handling these complex car wreck trials should be recognized for their skills. As long as there is medical malpractice, will always be board certification “qualified” defense lawyers. It's the plaintiff's bar that needs to be our focus of concern. We've got to do something to keep viable board certification for the plaintiff's bar in professional liability. Q: ABPLA has ABA accreditation through 2023. At the recent ABA meeting (Winter) in Las Vegas, the subcommittee on legal specialization indicated that the ABA had no intention of leaving accreditation, but are examining all aspects of the process. Following up on your earlier response, do you still think it is in the best interests of board certification to have a contingency plan in place? A: There needs to be, and I think it should happen between now and 2023 because I strongly believe that if the ABA changes course, we must be ready with an umbrella organization. Again, in my opinion, states like Kentucky are going to refuse to allow use of the descriptive “specialist” if the ABA actually steps down. And, I know, they are saying now . . . “don't panic, no worries, we’re in this, you've got your accreditation through 2023”. But there certainly have been indications that this is not sustainable financially for them, and I would like to see all of the legitimate organizations that add value to consumers of legal services come together and create an Academy or a College or whatever you want to call it and have everyone under the same umbrella. Now more than ever before, we must remain relevant if this “high-level” professional liability practice will be available to consumers. And by that we've got to encourage membership. We've got to be creative and we've got to open our eyes to the reality of who is qualified. Who is truly qualified in the land where arbitration is really taking hold? ABPLA is very fortunate to have Bill continue to serve on our board, as well as on our Oversight Committee, and our Standards Committee. Bill's work obtaining ABA accreditation for ABPLA gives him unique insight and, frankly, enabled me to hit the ground running. While some of Bill’s message may have caused alarm, let me assure you it was not meant to be alarming. Rather, it simply reflects the work done on behalf of board certification, and therefore, ABPLA, on a day to day, month to month, year to year, basis, by all of our volunteers, board, officers, etc. As I indicated in Part I of my March address, at the end of this month, Reeve McNamara and I will attend the ABA roundtable meeting held in Chicago Illinois. We will have considerable more information to share at that time. However, I do want you to rest easy. At the recent winter convention of the ABA in Las Vegas, Nevada, the specialization committee assured us that they had no plans of going anywhere. Nonetheless, if board certification is important to you, let me again urge you to get involved. Come to our New York Conference in May. If you haven't been a conference attendee in the past, introduce yourself. If you have time to get involved, volunteer. If you can work on a committee, volunteer twice. If you have input on an issue raised by Tommy, Bill, myself, or anyone with ABPLA, please speak up. Together, we can protect the importance of board certification! Forty-eight years ago, in February of 1971, the first attorney specialization certification program in the United States was announced by the State Bar of California, California Board of Legal Specialization. Notably, it began operations in 1973 with three practice areas initially available: workers' compensation, criminal law, and tax law. (The program has expanded to certification in approximately 12 select areas of law today). You will be proud to know that the American Board of Professional Liability Attorneys was first organized in 1972. Without doubt, our organization has led for 47 years as one of the oldest board certification organizations for attorneys. Just to give you some depth, it was in 1973, at the Sonnett Memorial Lecture at Fordham Law School, that Chief Justice Warren Burger stated... "Some system of certification for trial advocates is an imperative and long overdue step." We had already been in existence for one year by the time the Chief Justice stated the obvious need. Between 1971 through 1990 seven specialty boards were formed. Five of these boards were formed by the states of California, Texas, Florida, Minnesota and North Carolina, while two of these boards were formed by not-for-profit organizations, namely the American Board of Professional Liability Attorneys (ABPLA) and the National Board of Trial Advocates (NBTA, which was formed in 1977). All of these boards have been in continuous operation since formation and their relationships are truly collaborative. I have learned this firsthand in recent months in working with our Executive Director, Reeve McNamara. Reeve has had to endure my naiveté as he has patiently brought me up to procedural speed while dealing with the interaction of all of the certifying boards, as well as the American Bar Association. The American Bar Association became a guiding force for legal specialization beginning, at least, in the early 1990s. The ABA developed accreditation standards, and the ABA formed a Standing Committee on Specialization. Legal specialization continued to grow from the early 1990s to present. In addition to the five state boards noted above, six more states developed specialization programs including, Arizona, Louisiana, New Jersey, New Mexico, South Carolina, and Tennessee. Accordingly, as of today, there are a total of 11 state boards and 7 nonprofit national boards which offer approximately 49 specialization areas. Last month, Reeve and I attended the ABA Standing Committee on Specialization meeting held in conjunction with the ABA winter convention. Given that ABPLA standards meet, and exceed, the ABA accreditation standards, 23 states accept ABPLA board certification without more. Certain states, however, including California, Texas and Florida, require more. I am happy to report that your ABPLA board certification is recognized by all states in the United States save for Maine, Maryland, Oklahoma and West Virginia. (Even in these states we have board certified lawyers). With respect to the ABA, we are approved through 2023. With respect to the other states, thanks to Reeve's hard work, we remain current and are on top of all ongoing requirements by those states. So, were this a "state of the union", ABPLA remains strong! However, our work has not even scratched the surface of what needs to be done. Just consider this: approximately 82% of physicians attain board certification. Contrast that with approximately 3% of the total lawyers that attain board certification. So, once again I call upon each of you to get involved! We have many committees that are continuing the active work of ABPLA. The Membership Committee constantly examines the membership criteria of our organization (which is an ongoing active debate), and develops outreach in order to actively recruit eligible attorneys. The Conference Committee plans our annual conference, arranges for speakers, sponsorships, exhibitors and otherwise handles all aspects of our Medical/Legal Conference. Our Advisory Committee looks to long-term planning of our organization, itself. Our Board is diverse and active. So, please get involved. Many of our diplomate's speak at various conferences throughout the United States. We have developed a short PowerPoint presentation that can be given at the introduction or conclusion of each such speech. The benefits of board certification are briefly discussed. Please contact Reeve ([email protected]), and ......... get involved. Lastly, if you did not do it last month, stop what you are doing right now and calendar May 2-4, 2019 at the Park Lane Hotel in New York City. That is the date of our National Legal & Medical Malpractice Conference. It is a unique three-day CLE for both plaintiff and defense attorneys who have an interest in professional liability. We have an all-star faculty. I look forward to a busy February and an even more busy March. Reeve and I will likely be attending the ABA National Specialization Roundtable in Chicago on Monday, March 25, 2019. May is right around the corner. I hope to see you all in New York City!